What is Petitgrain Oil ? Petitgrain essential oil has a combination scent that is a bit citrus combined with a floral and woody note. It is one of the oils that comes from the bitter orange tree, and is steam distilled from the leaves and twigs. 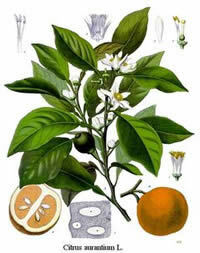 It is often used in perfumery and cosmetics as is its more expensive bitter orange relative, neroli. Petitgrain essential oil has benefits for providing relaxation, having antidepressant properties. It is antiseptic and also good for the skin and hair. It blends well with a lot of oils such as sweet marjoram, geranium, rose, cedarwood, frankincense, jasmine, sandalwood, ylang-ylang and patchouli, as well as the citrus oils. 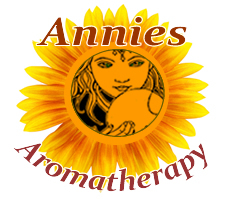 Add it to skin and hair products for it's fragrance and antiseptic abilities. None noted. Generally considered safe. Botanical Information - Rituals & History : Petitgrain oil is distilled from the the leaves and twigs of the bitter orange tree, the flowers of which also yield neroli essential oil.